BlaBlaBlarchitecture. Talking Building. » THE DRAPING OF ARCHITECTURE: ITS CURTAINS FOR ENGLISH FOOTBALL AGAIN. 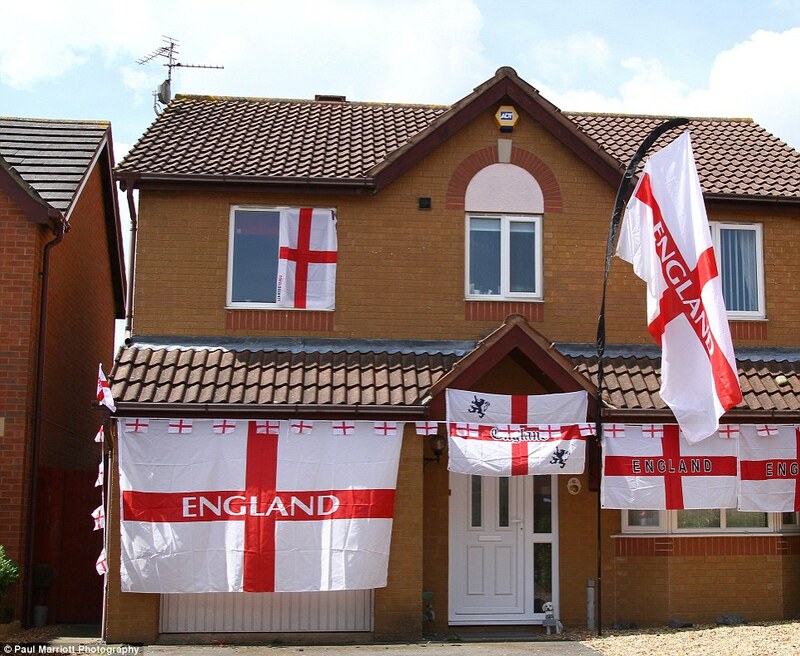 In England this means a lot of buildings draped with the St George flag. Football here is bigger than God. According to a 2016 YouGov poll, England is supposedly a Christian country yet only 23% of the total population say they subscribe in a faith. Football is the religion which both unites, under the flag, and unties, see club vs country, the nation. This is fan flare as flag. 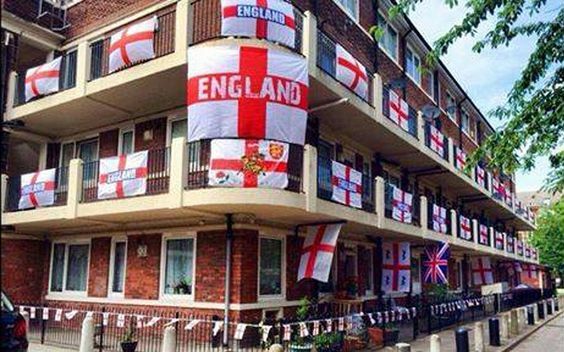 Walking through the streets of East London in a World Cup summer means you will see more flags draping from buildings than say at Christmas time, Santa’s reindeers twinkling homes. Selling a dream? Welcome to the flagged world of fantasy football.